For today’s Eddie’s 31 Days Of Halloween film, I looked on Wikipedia and Rotten Tomatoes to make sure that it was a horror film. 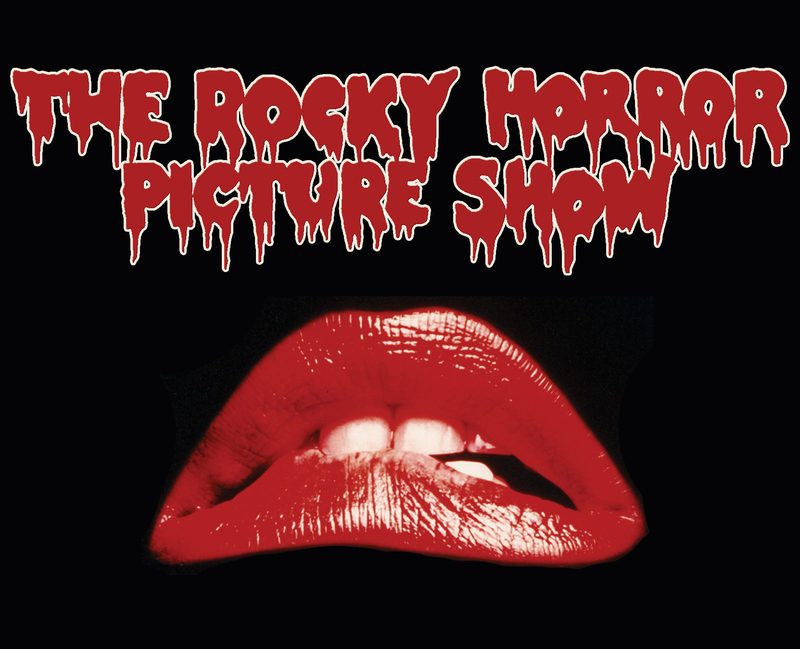 There are some people out there will declare that The Rocky Horror Picture Show is not a horror film, but those sites list it as a Horror Musical Comedy. 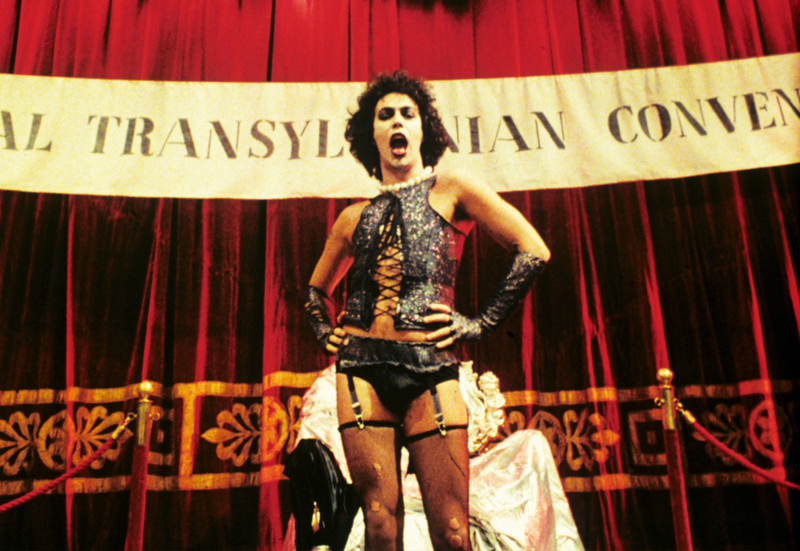 The Rocky Horror Picture Show is a new take on the Frankenstein story that stars Tim Curry (Legend) as Dr. Frank-N-Furter- a scientist. After a wedding, Janet Weiss (Susan Sarandon) and Brad Majors (Barry Bostwick) decide to go on a ride to see an old scientist friend when they get a flat tire after travelling down a dead end street. They decide to go to a castle that they had seen up the road to try and get some help. What they get themselves into is a whole other question when they encounter the flamboyant Dr. Frank-N-Furter who happens to be a transvestite. Now they’ll have to try and survive one cooky night in the mad world that is inside that hospital. The film also stars Nell Campbell (Pink Floyd’s The Wall) as Columbia, Richard O’Brien (Dark City) as Riff Raff, Jonathan Adams (Jesus Of Nazareth) as Dr. Everett V. Scott, Peter Hinwood (The Devil’s Widow) as Rocky Horror, Meat Loaf (Fight Club) as Eddie, Charles Gray (You Only Live Twice) as The Criminologist, Patricia Quinn (Shock Treatment) as Magenta, and the film was directed by Jim Sharman (Shock Treatment). One of the things I loved reading about this film was a particular scene where the cast honestly looked scared. Apparently only three people knew that they had placed Eddie’s body underneath the table. The rest of the cast had no idea that he was under there so when they revealed it, those were their honest screams. I thought that was really fascinating to know about this horror musical classic that features the classic Time Warp.You also have to take into consideration that this film was very risque for it’s time considering people were not really accepting of homosexuals. Nevertheless, the film became a cult classic that is still viewed in the cinema’s 40 years later. The film was definitely ahead of it’s time and like I said above, it was a very interesting new spin on the story of Frankenstein with some great glam rock like tracks. The visual aspect of the film is what is truly captivating with the cool sets and all of the cool props and costumes that they are constantly changing into. How can I forget to say that the acting was also pretty superb in the film as well. I’m pretty sure that right now there is a theater somewhere in the US that is showing this film which as I said is a testament to the power of the film. This was actually my first time ever watching this film and I was very pleased with it. So, if you don’t think it belongs here then too bad cause here it is. I am giving the film an A- for a final grade.